Wisdom of Life. 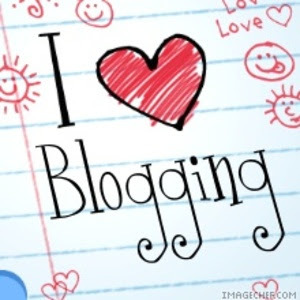 : My 300th blog title......WoW!!!! Wow!!! This is my 300th blog title, written since March last year. At the beginning when I first started to write on this blog, I never imagine I have so much to share. I was thinking, perhaps I could write a few days or few weeks before I called it off. I have to thanks my elder son for encouraging me at that time. I believe without his persuasion, I would have taken off this blog away then. He has an interesting blog, mobchina.blogspot.com that spurs me to go this far. Whatever a younger man can do, I can do as well. Son, am I right? I write almost everyday with excitement, because knowing very well I have many admirers or keen readers, who anxiously wait for my next current posting of the day. There were many occasions when I did not post on Sunday or on days when I travelled, friends would be calling me for the reason. I am most inspired to write constantly, is because of an admirable lady who said to me, "Dear...please write everyday, even on Sunday, Public holiday or on holiday. I love to read all you postings." I promised her I will try. Thanks dear for your inspiration. I created my blog title as Wisdom of Life for the purpose of sharing my experiences with my friends, clients and the Malaysian. I wish not to touch on religion, race or politics but rather on the facts of life which we have to face in our day to day living. Most important is, to make my readers to laugh while reading my contents. One thing I learned while blogging. As we share more in thought, our mind expand even greater. When I first started to write, I thought I had limited ideas. To my surprise, as I wrote further, more ideas came naturally. Perhaps this is The Universal Law of mind expansion. This phrase is true,"The more you share, the more you gain." wow 300th blog, congratulations ! I wish I could write that much in my blog too, but I always ran out of ideas. Although u have fewer ideas to write, but by the time u are like my age, u would have written more than me. Pls keep writing coz our mind will expand as we write. Wld appreciate if u let me have your blog and let me learn something from you, my dear. Thanks again.